New Directions Publishing Corporation, 9780811207133, 180pp. Words and Silence: On the Poetry of Thomas Merton brings to the study of the late Trappist monk's verse the special perceptions born of a friendship of nearly three decades' duration. It started with a brief correspondence between two poets in 1939, two years before Merton entered the monastery of Gethsemani in Kentucky, and lasted until his tragic accidental death in 1968. Throughout these years, Sister Therese Lentfoehr held a number of university positions in her native Wisconsin and elsewhere, all the while amassing an extensive Merton archival collection, including various drafts of individual poems and prose pieces, translations, books and pamphlets, and even portions of hand-written private journals. The comparison of variant readings--sometimes three or four drafts of a single poem--proved invaluable in preparing this study. But of greater worth was the continued intellectual sharing that not only gave Sister Therese growing insight into Merton the monk and contemplative but afforded her a working understanding, as it were, of his poetic vision. Beginning with his pre-Trappist writing and his first published collection in 1911, Sister Therese systematically analyses the entire corpus of Merton's poetry--the earlier monastic preoccupations to the later Zen influences, the recurrent religious and social themes, the increasingly surreal imagery, and the developing "antipoetry" of his final books. 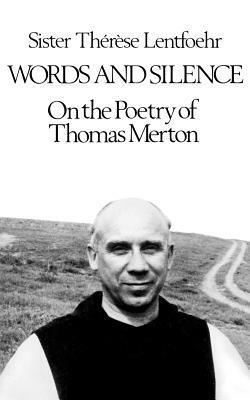 Provided with a bibliography and index, Words and Silence is a recommended companion to The Collected Poems of Thomas Merton (1977), a key to the very mind and spirit of an extraordinary monk and poet.